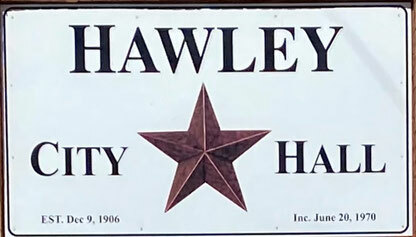 The City of Hawley, Texas strives to build a better future and improve the quality of life for its citizens, by working in partnership with public, private, and business sectors and by providing for the health, safety, and well-being of its citizens, maintaining essential services, and preserving public resources. CITY COUNCIL MEETINGS ARE THE SECOND TUESDAY OF EACH MONTH AT 7:00 p.m. AT CITY HALL. The City Council invites you to attend all meetings and voice your opinions on any and all matters concerning the City of Hawley. 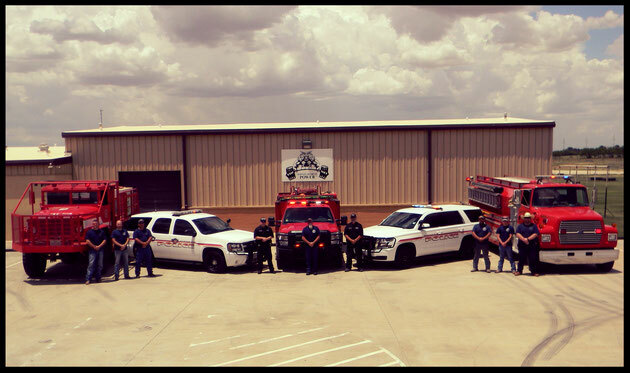 We are here to help make the city the best that it can be. "The City of Hawley is currently seeking applicants for the City Secretary position. Paper applications can be picked up at Hawley City Hall from through May 7, 2019. Requirements are as follows: Must have a High School Diploma. Must be proficient with QuickBooks, Excel, as well as, Microsoft Word. Must be able to pass a drug screening and background check. Pay will be D.O.E." CHECK OUT OUR COMMUNITY EVENTS CALENDAR! WE HAVE OUR SPRING CLEANUP IN APRIL, THE RABIES CLINIC IN MAY, AND THE CITY WIDE GARAGE SALE IN JUNE!!! As of August 14th, The Jones County Commissioner has lifted the burn ban and requests the citizens to exercise extreme caution regarding outdoor burning in Jones County.